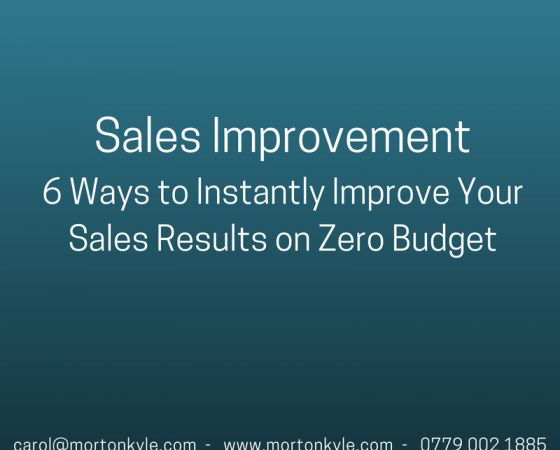 What is not having a system that delivers predictable sales results costing your business? Every firm is seeking continuous sales improvement. They would like to achieve that on zero budget. Every firm seeks predictability and stability. It’s the Holy Grail because once you’ve cracked that formula for your sales lead generation and closing, then you can simply plug and play and collect the cash. Simply put your sales process delivers great sales results consistently. 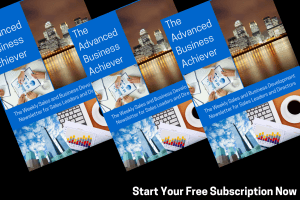 Primarily due, to a large degree, to you removing many of the failing and costly variables in the sales process variables. The result? Predictable sales growth, high level of sales stability, fewer peaks and troughs. Plus higher levels of confidence in the future…exciting times? You bet! And it won’t cost you, because you’ve probably already got all the resources you need…it’s the application of those resources that’s causing the gap. It why so many firms miss out on implementing the key elements of a predictable sales system! It’s costing them, and maybe you, fortunes, every single day. Business is sitting on the table or even worse dropping into competitors laps way too easily…and what’s even worse is that margins are being compromised on sales that are landed. I’ve completed two quite intense sales audits this month and something struck me as quite odd. Whilst writing their respective and separate 30 day improvement plans, I saw more than a few common elements between the two firms problems. The common elements existed even though the sales teams operated in different industries, selling different products, each firm operated at different price points and are selling in to different decision maker levels. What was even stranger was the key common elements existed even though one firm was doing ok, but had plateaued, whilst the other sales function was in a real long term sales dry patch. Despite all of this the root causes were essentially the same. The question is; are they the same for your business too? Predictable Sales Results – Is Your Sales Function In Danger? When you look at this list below, just remember that any sales function can address these issues immediately. Remember that providing your take quick action you’ll see some sales improvements. I hope the list gives you food for thought, and also a cause to take action if you’re seeking predictable sales results and the huge benefits associated with such predictability. How many of these easy to fix sales improvement options are available to your sales function, and what could your sales results be if you looked at implementing just a few over the next month? Don’t try to do all of these at once. Look at your sales management information at least half daily…personally I like hourly because that way there can be no slippage…but half day might work for you. This does two things. Firstly, you get an opportunity to praise high activity/high results success. You get to ask questions and unblock any issues with the rest of the team. Without a decent level of activity, everything else is meaningless. Get on top of activity and stay there. Which does not mean managing the team by numbers – any monkey can do that – look at their conversion rates, look at the meaningful outcomes, look at who is closing, advancing sales and who is simply going through the motions. Don’t confuse talk time or client facing time with selling time, review the selling process. Are sales execs qualifying hard enough? Closing soon enough? Educating, questioning, advancing the sale fast enough? Are they having an easy chat and picking the low hanging fruit? Get embedded in the team – the fastest way for any manager to change the sales performance of the team is to start a high intensity side by side sales coaching program. Don’t think you can do 3 or 4 hrs per day sat coaching the team? Of course you can! get your mobile device so you can work any where and simply plug in. Nothing better than someone listening in to really get a sales person to up the game, and you get the chance for immediate 1:1 feedback. Win! Have a performance improvement plan for everyone, (I call it a sales coaching plan) and just as the doctor leaves your notes at the end of the bed during a hospital stay, fill in the daily report card on what needs to improve daily due to your coaching and guess what? You’ll see fairly rapid sales skills improvement, and the inevitable knock on affect of more sales, better quality sales…in less time. 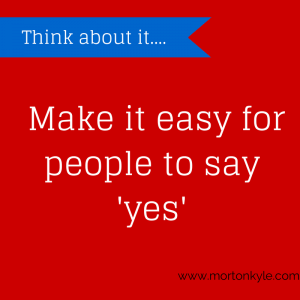 So Will You Get Predictable Sales Results? You’ll be well on your way. Building a business development, lead generation and sales closing system that delivers predictable sales results is not just 6 bullet point. The points above are 6 key reasons why firms DON’T get semi predictable sales results, and are in a sales slump/dive. The market is no tougher for you than anyone else. The economy is not penalising you, it’s impacting all. This entry was posted in Blog, Sales Key Performance Indicators, Sales Leadership, Sales Management, Sales Performance Management, Sales Training and tagged Predictable Sales Results, Sales Improvement, Sales KPI, Sales Leadership, Sales Management, Selling, Solution Selling. Bookmark the permalink.